Handmade Presentation Chalice with optional Wooden Base. 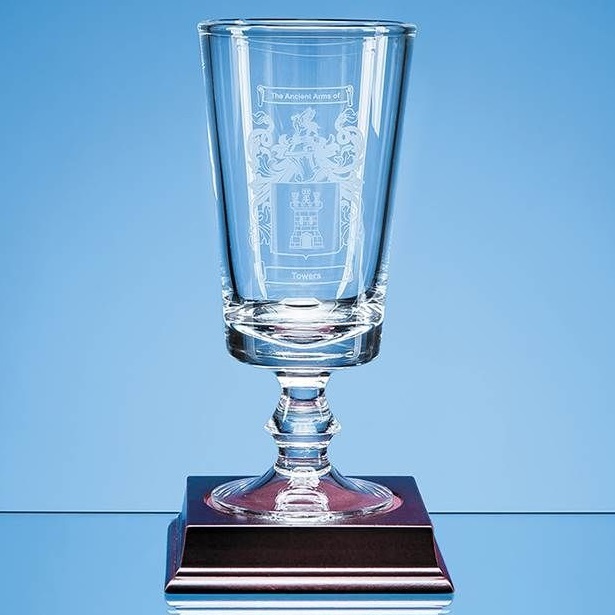 This fantastic chalice measures 200mm x 90mm, it has a generous engraving area perfect for an image, crest or logo. The chalice comes on its own in a skillet box or you can choose the 80mm recess wooden base for an additional charge.